Evelyn Roth is a self taught community artist, specialising in environmentally sensitive events, family festivals, school programs and art gallery exhibits. Evelyn is based at the beautiful coastal town of Maslin Beach, located 45 kms south of the city of Adelaide, South Australia. Born December 27, 1936, Evelyn grew up in the small rural town of Mundare in Alberta, Canada. In the 1950’s she moved to the city of Edmonton and took classes in art, crafts, modern, eastern and classical dance, yoga and fencing while working in the local children’s library. Moving to Vancouver in 1961, Evelyn joined a group of artists, dancers and film makers called Intermedia. With this group, she was part of the flourishing international art scene at the time: happenings, art and technology, wearable art and videography. 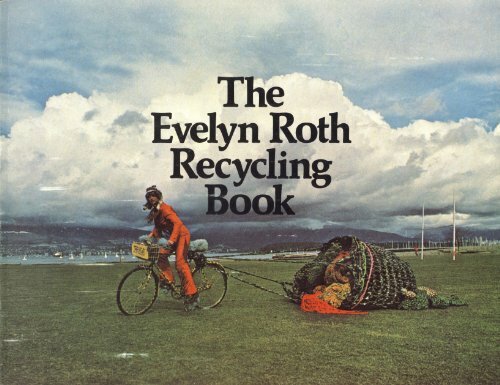 Recycling came to the fore in the early 1970’s, and Evelyn’s knitting and crocheting skills came to be used to recycle natural fibres as well as television tape from TV stations into Articles; topical function objects resulting in the publishing of the Evelyn Roth Recycling Book by Talon Books (1974). From 1973 through the 1980’s Evelyn explored sculpture and dance in the environment and formed the Evelyn Roth Moving Sculpture Company. A film titled Woven in Time showing the company in various outdoor settings won an ETROG award in 1976 (Canadian Film Awards) and is still widely shown. In 1977, living in Vancouver, close to the native culture of the Pacific northwest she was inspired to sew a giant salmon and this was then a focus of a Salmon Festival with the Haida First Nations people on Queen Charlotte Islands. Working and living with these Indigenous people, she developed Salmon Dance, commissioning a half hour electronic music composition with narration (by Hannalore) and choreographed costumed totemic characters: Eagle, Raven, Bear and Frog, along with interaction with human. Salmon Dance has been performed with local youth groups in Hong Kong, Brazil, Africa, Korea, United States and Canada, and at present has an interactive component in which children from the audience are provided with costumes and are guided in through the dance around the inflatable salmon. In 1981, Evelyn was invited to the Adelaide Festival centre for an interactive display, Video Jungle. Adelaide television stations supplied their discarded TV programs which were then crocheted into a video play land in the foyer of the centre. Being interested in Indigenous culture, Evelyn accepted an invitation to Pitjitjanjara communities and held workshops in rabbit knit and painted leather garments, crocheted vide tape shade canopies and installed a crocheted nylon play web. These articles were displayed at the University of Adelaide in 1982 and at an exhibition in Canada titled Evelina Down Under the same year. As international interest in Evelyn’s interactive fabric arts grew, Evelyn was invited to be artist-in-residence at Spokane Expo ’74 in the USA, Commonwealth Games in Brisbane Australia in 1982, Edmonton Canada World University Games in 1983, Vancouver Expo ’86, and the Commonwealth Games in Victoria in 1994. Giant nylon inflatable structures filled football sized stadiums and hundreds of children sat inside giant, multicoloured creatures for story telling. The need for tactile, hands-on public events at festival led Evelyn to construct a series of quick-to-put-on bird, animal, insect and vegetable costumes for instant parades titled the Nylon Zoo. This very portable story telling theatre is booked around the world and is Evelyn’s main livelihood. In 2011 the Nylon Zoo will make its 15 consecutive appearance at Womadelaide world music festival in Adelaide South Australia. United States Fisheries departments have for close to 20 years commissioned Evelyn to create their own salmon story tents and developed a program titled Web of Life with extra costumed elements fire, sunshine, forest , and more.